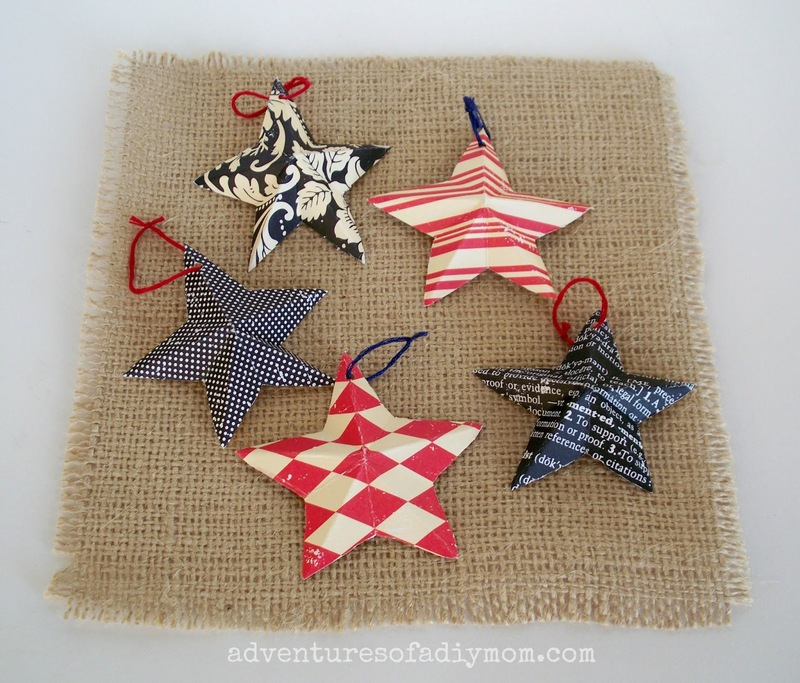 Learn how to make 3-D stars with patterned paper. A few folds, a snip here, another fold there and voila! 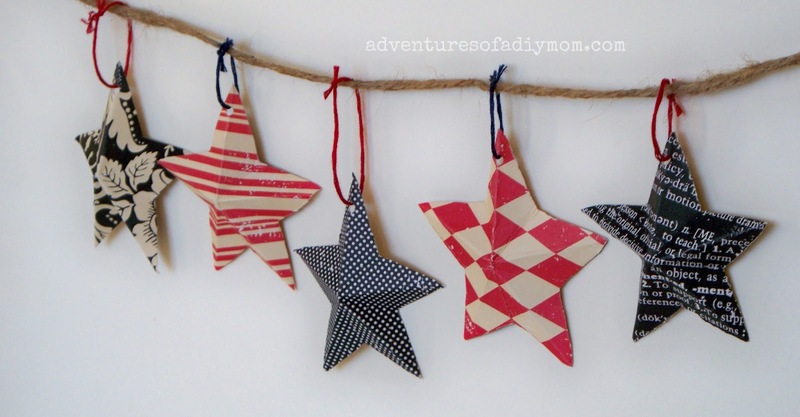 you have a star, perfect for decorating your space. 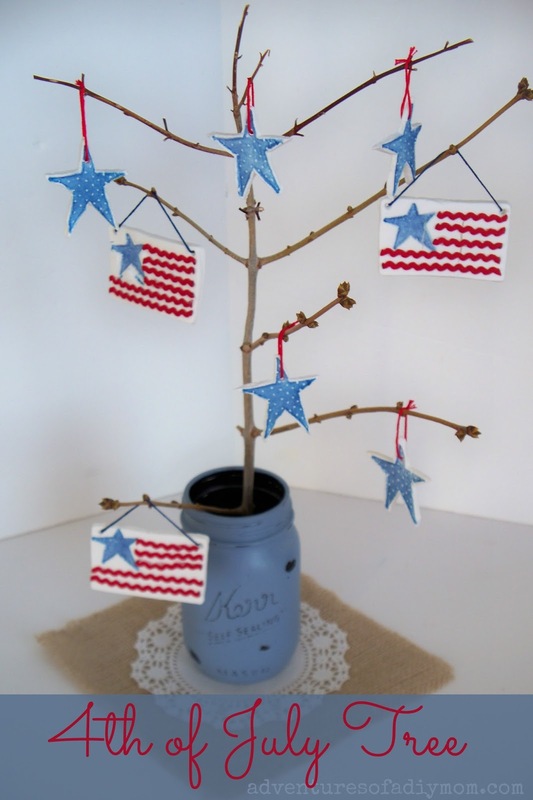 Using red and blue patterned paper will give you a patriotic star to spruce up your 4th of July decor. 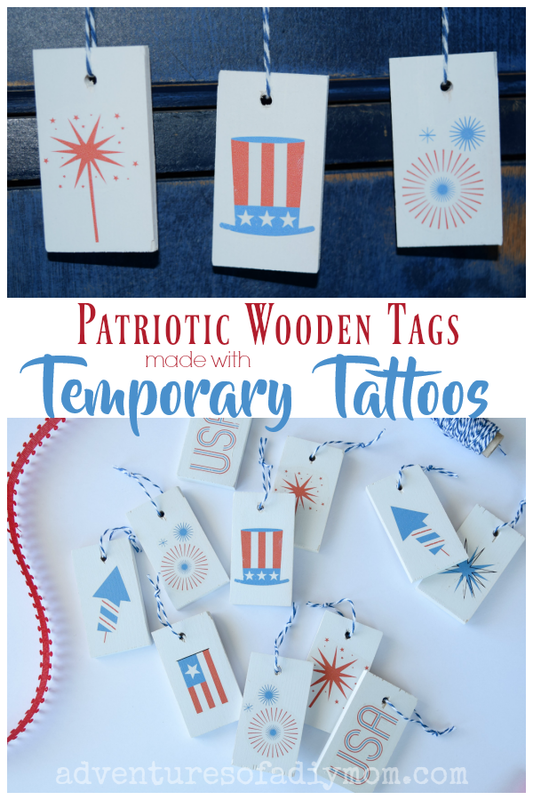 These would also make super cute Christmas tree ornaments. 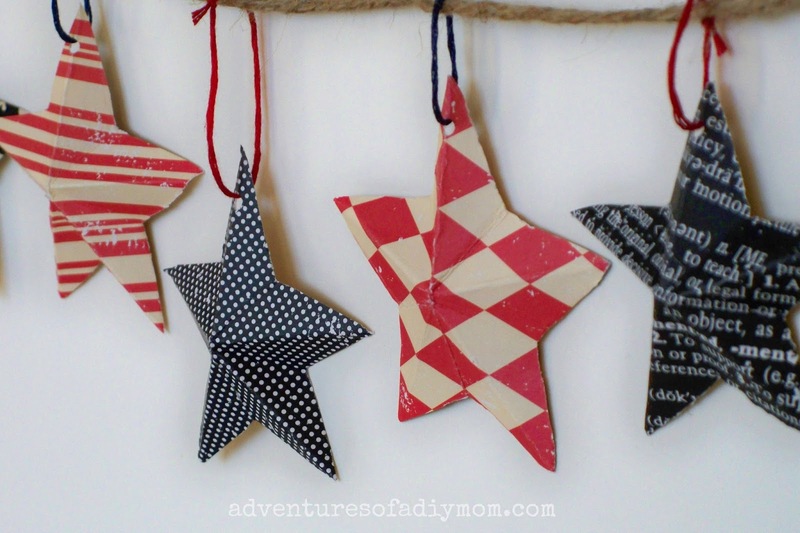 Want to make your own 3D paper stars? 1 - Begin with a rectangle and fold it in half hamburger style. I used a 8 1/2 X 11 sheet of paper for the step by step pictures. My smaller stars were made with a 4 X 6 piece of cardstock. 2 - Fold the top left corner to the middle of the right side. 3 - Take the point and fold it back on itself to line up with the left side. 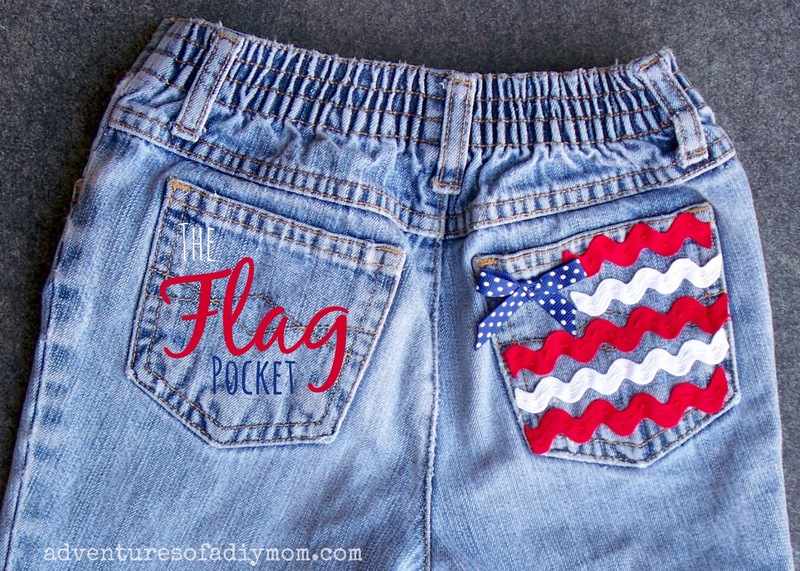 5 - Take the point from the left and fold it over so that the sides line up. 8 - Unfold the star. 9 - Refold the creases so that all the points crease upward and all the short folds crease downward. Regular paper is easier to work with than cardstock, so I recommend trying this out with regular paper to figure out the process and then when you've got it down use your patterned paper. 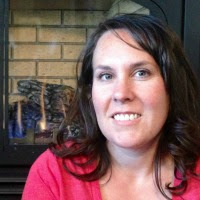 I found your through the Teach Me Tuesday @ 3GLOL #10 link party! 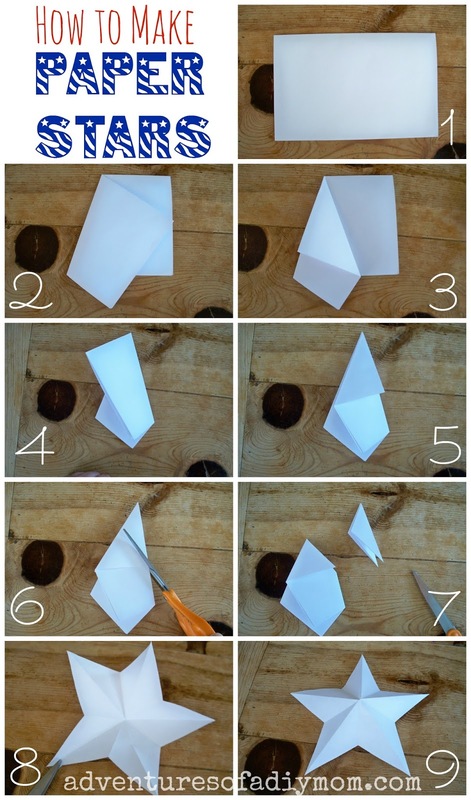 I'm pinning this idea because the simple origami and the nice paper make such a bold statement. Thanks for sharing. Seriously adorable. Sharing :) Stopping by from Gingerly Made.